The Los Angeles Times has announced that the Mexico City bureau’s offices are closing on July 31. Tracy Wilkinson, the longtime Mexico City bureau chief, is moving to a new position at the Times’ Washington bureau. She is being replaced by Patrick McDonnell, currently the bureau chief in Beirut, who will be continue the paper’s coverage of Mexico City and Latin America, though no physical bureau will exist going forward. In other LA Times news, business reporter Tiffany Hsu left the paper as of July 24. She joined the business desk in May 2010, and covered a variety of business beats, including retail, restaurants and the California economy. 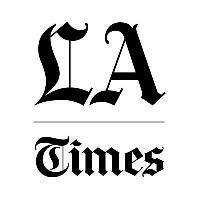 Find more news from the City of Angels and beyond on the Los Angeles Times’ Twitter and Facebook pages.